Say, “cheese”, “Jarlsberg cheese” please! I am a lover of cheese, and tend to have a package or two in my refrigerator at all times. Aside from the Italian cheeses wrapped in wax paper that I know from my childhood and have available at the ready (to be paired with olives and a nice wine), a cheese staple in my house is and always has been a package of Jarlsberg cheese. A slice or two is great on a sandwich, melted into soups, or just a piece ripped out of the package to snack on along with an apple. 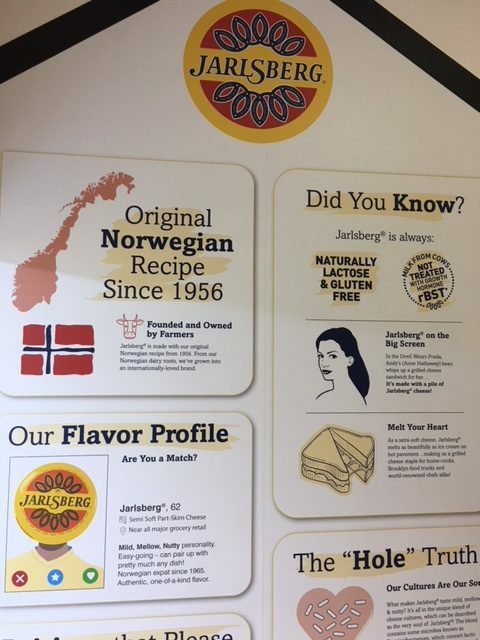 So, you can imagine how delighted I was to learn that, for the first time ever, a Jarlsberg cheese pop-up shop was coming to New York! 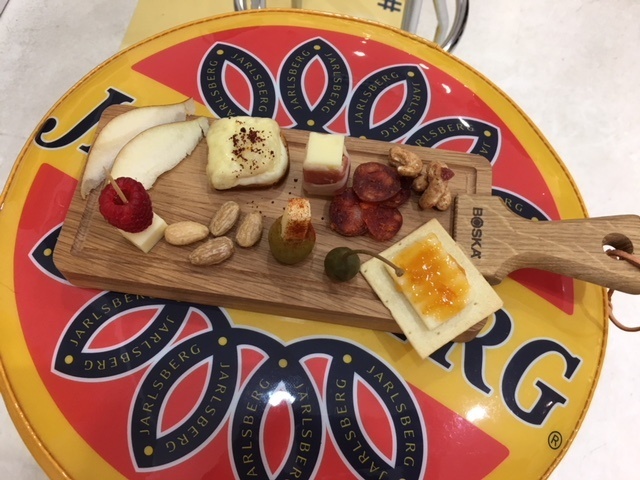 The Norwegian cheese company has teamed up with the Swedish store, Sockerbit, (which features a plethora of Scandinavian candies), to create a place where people can enjoy Jarlsberg tastings while shopping for candy. It’s a lovely combination. 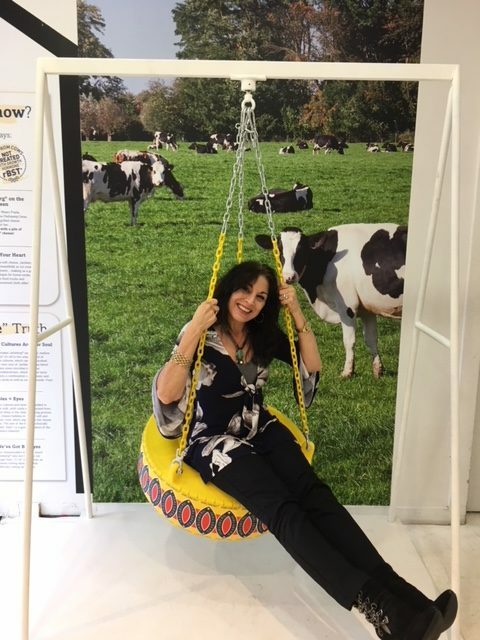 Visitors can be photographed on a Jarlsberg swing (with an image of cows in the background, perfect for photos! ), purchase cheese taken fresh off of a mammoth wheel of Jarlsberg, and learn the history of the iconic Jarlsberg company. Did you know that Jarlsberg is the only cheese whose brand name is also the name of the category of cheese? By the way, if you buy cheese from a Jarlsberg wheel at the pop-up, you get to take home a free Boska mini cheese planer.